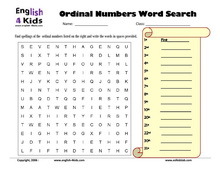 These worksheets will help in the teaching months (January to December) Ordinal numbers - first. second, third, sixth etc. 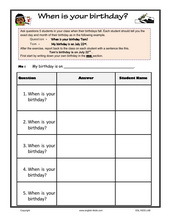 Students will also practise speaking by doing a class survey. 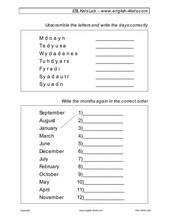 They will help reinforce skills like reading, writing, grammar and vocabulary.The worksheets are in PDF format. 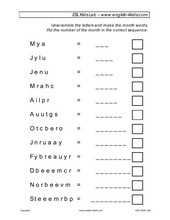 Click on the thumbnail preview to download each worksheet. If you do not have acrobat reader installed, you can download a free copy here.